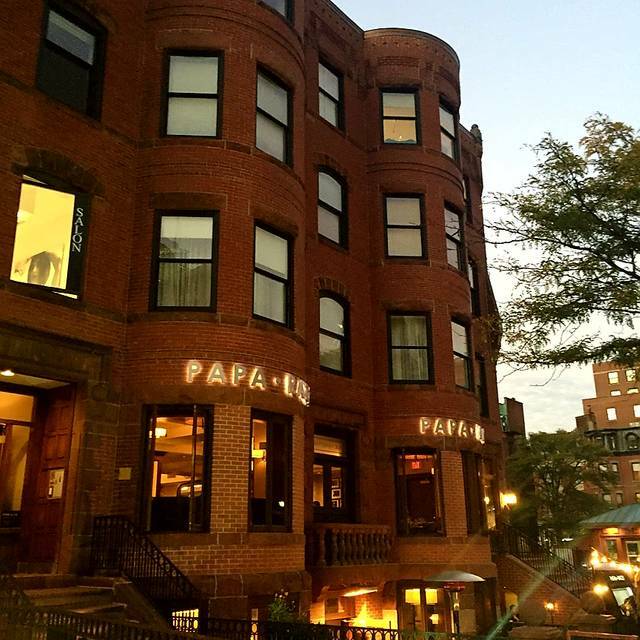 You must make reservations at least 5 minutes in advance of the time at Papa Razzi - Boston. There are several public lots near the restaurant the closest one is at 155 Newbury St. We are at 159 Newbury. The Copley stop on the green line is a two minute walk. Other T stops within close walking distance are Arlington and Hynes. We have premium space for private events accommodating up to 100 guests. To view our private event menus visit our website at www.paparazzitrattoria.com. Papa Razzi offers the best of Italian scratch cooking: simple recipes, fresh ingredients, and passionate chefs. Inspired by the modern trattoria, each of our convenient locations makes it easy to enjoy a heart-warming meal from our wood-fired ovens. 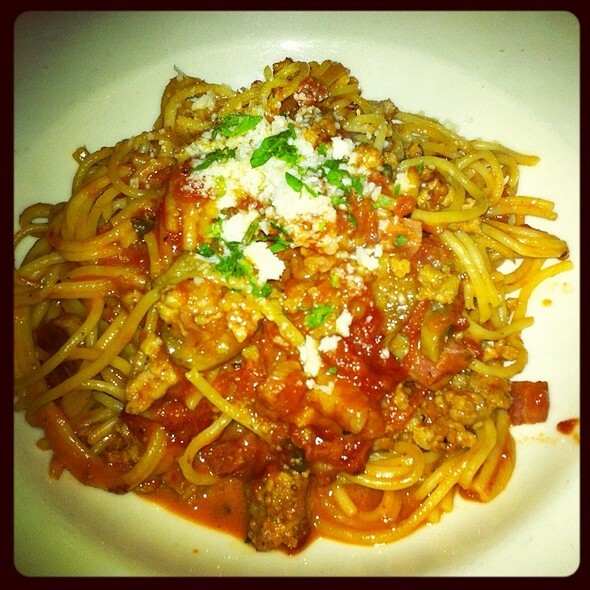 Everything from thin-crust pizzas to favorite pastas are made to order in a relaxed, friendly atmosphere. We look forward to your next visit! Every time We come to Boston, which is about every three months, we visit this restaurant. The food is great, so is the ambience and the service. And we will be back. 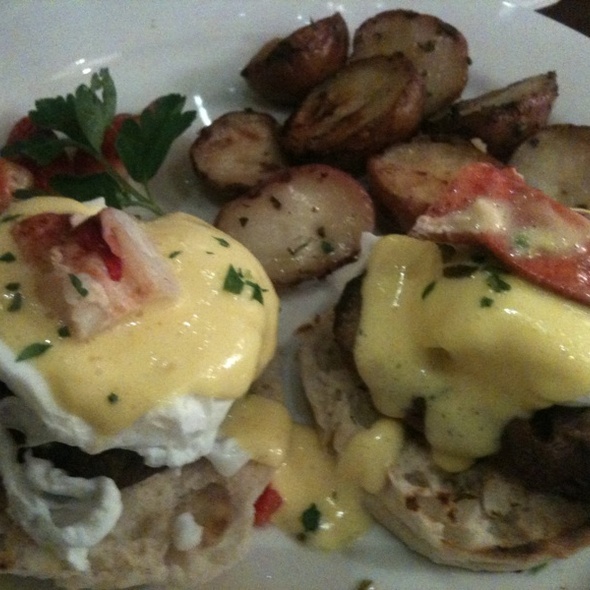 Perfect semi-upscale restaurant with fantastic prices and great food. Had a reservation for a table but chose to stay at the bar. Needed to get the bartenders attention a number of times. The 2nd bartender was totally consumed at the service bar. Perhaps another bartender would make sense? But, we love Papa Razzi and will continue to visit. We were looking forward to a wonderful dinner out on Newbury Street. We had been to PapaRazzi's in Chestnut Hill and were hoping for the same high quality restaurant on Newbury Street. 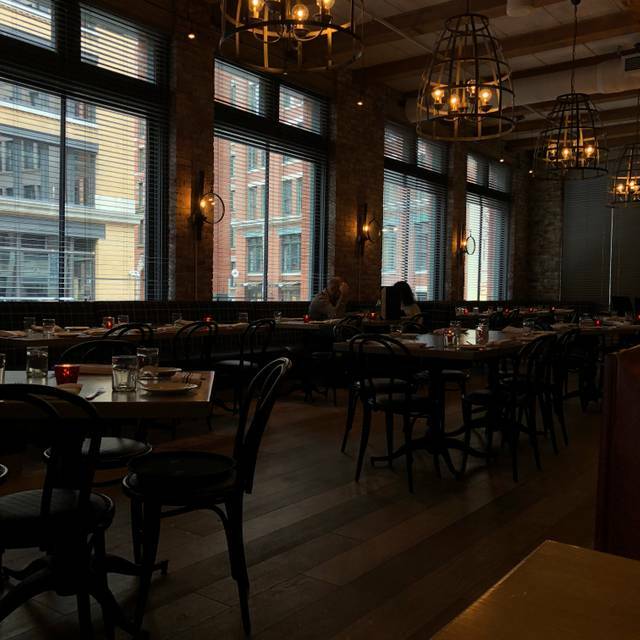 We'd been to the one in Wellesley and had a disappointing dining experience but thought we'd give the one on Newbury Street a try as we were in the area at the end of the day. The waitress asked if we would like something to drink and my husband ordered a beer. After about 10 minutes we placed our order but she had not brought the beer. "Oh I have to go downstairs to get it" she said and when she finally brought it back it was warm and flat but still a good beer so we didn't say anything. We had to ask for bread and the olive oil was too spicy. The bread wasn't even warm. I asked if I could get a small side order of linguine with my salmon and the waitress said she could do that but they brought the meal without the linguine. We asked a few times for the side and then finally said forget it because I didn't want to have linguine after my main course. The waitress acted as though she could have cared less. The table next to us had to send back their eggplant parmigiana citing it was the worst they ever had. My husband's chicken was dry and although I asked for my salmon to be on the well done side it was black on top and very dry. 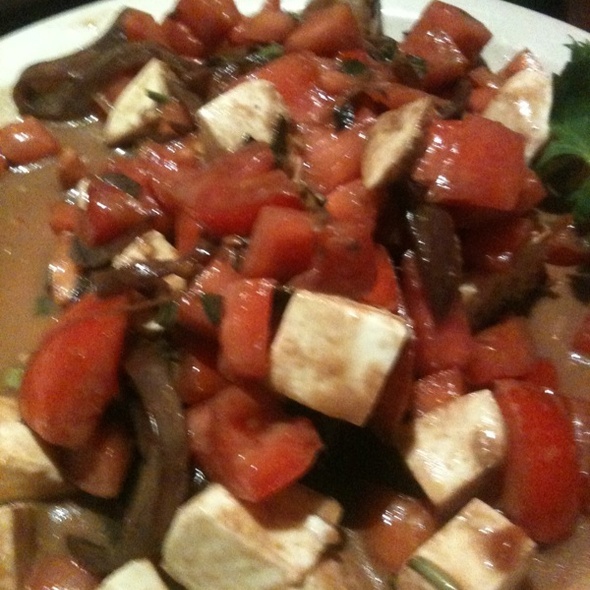 It boasted a red wine reduction with vegetables but everything was tasteless. The Caesar Salad appetizer was adequate. We remember when Pappa Razzi used to have delicious breadsticks and fococcia bread and truly cared about their patrons. Unfortunately that is no longer the case and we will not go to any Pappa Razzi restaurant again. I have to say the Veal Milanese, though done a little differently than usual, was fantastic. The rest of our meal was okay (wouldn't order it again). But the service...meh. Wait staff only transmitted, they didn't receive. I asked some questions and I'm not sure what she was answering. I moved on. After food was delivered by other staff, our server never came around except for dessert menu and bill, when requested. Sparkling water was done mid meal and water glass sat empty for the rest. Im thinking we won't return. We enjoyed a lovely evening, celebrating my wife's retirement as an amateur marathoner. The food and service were remarkable and we felt like we were the most important people in the place, given how attentive the staff was to our every need and how interested they were in our enjoyment of the food and wine. Hope to be back next year. Great place for pre marathon dinner. We had a great evening at Papa Razzi. Food was excellent and came out quickly. Noel was our server and was great for recommendations and made us feel welcome. Food was equivalent to what you could make from a box. I had risotto with chicken and I don't think there were 4 bites of chicken in the meal. Restaurant was extremely noisy. Excellent food, definitely worth the price. Portion sizes are better than you expect. You get what you are paying for. Located in an great area for walking around, right on Newbury Street. I recommend any pasta on the menu. I expected an a outstanding meal. It was good, but nothing special. The restaurant decor and ambience was well above average. The service was good, but had to ask repeatedly for accoutrements. For the value, I would look somewhere else next time I’m in town. The overall experience was awesome. Bread can be better but the Risotto I had was really good. I have been to Papa Razzi hundreds of times over the last 20 years, and I feel they have lost the high standard I found when I first ate at Dartmouth St. In our previous visit, I had the meatball appetizer, which was served in a small cast iron pan. It was very good, but unfortunately had a metallic taste which I believe was the tomato sauce reacting with the iron. And my entree a chicken and mushroom risotto had no pop of flavor. I realized this when I reheated two days later in a hot skillet and got some browning of the chicken and I found the flavor I expect. In our visit 3 days ago, my wife's half order of oricchetti was under sauced, very little rabe and sausage compared to the pasta. My appetizer of arancini was delicious, but I asked them to serve in a bowl not in the usual skillet. My entree of salmon was over done, the thicker part of the fillet OK, while the thinner dry. The accompanying lentils with vegetables was tasty. The food was hot and excellent however we were sat in the bar and it was way too loud. Everything else was great though and would definitely recommend. Long wait, even with a reservation. Not the best service from the waiter - waited forever for every item to come out. Service was friendly however our food was very undercooked. They were very nice and took it back to the kitchen. 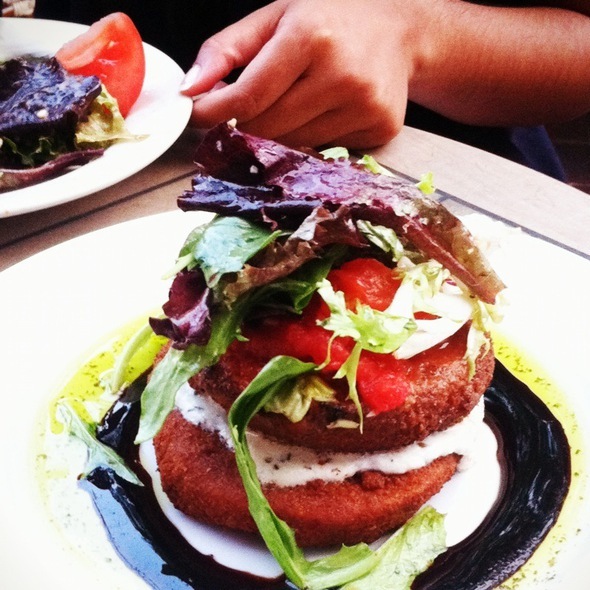 The burgers came back over cooked and the salad was salted to the point of being inedible. After this we didn't see the server and were pretty much left without service which was disappointing. We live close by and come here pretty often. We will probably come back at some point, just not for a while. This was perfect! Much more reasonable pricing. We were in the area so we arrived an hour earlier than our reservation. They said they would try to get us in but I certainly didn’t expect it! Less than 10 minutes at the bar we were given a table. Our server was attentive even though she was extremely busy. She constantly apologized and thanked us for being patient. To me that’s all it takes is communication although we really didn’t have to wait. It is very loud, but we had no problem. It’s not set up for intimate dining which we knew but had no problem carrying on a conversation. Despite living in Boston for 5+ years now, I found this place on yelp and went around 1pm. We were seated right away, as it wasn’t too crowded, and it even had two floors (where most people were)! I had the gnocchi, and my friend had the bolognese, and they were both so good! ✨ Our server was also kind, and efficient! Will definitely come by again. Thank you! We are an allergy family and had a great dining experience at this restaurant. The manager was extremely attentive to our food restrictions and our server was a amazing. Great food and excellent service. We felt confident eating the meals! The Penne con Pollo (gluten free pasta) was excellent! Everything was good. Food was ok. Server was very friendly and nice. We got a manager to bring us a plate with allergy and another one to bring dessert. No one of them asked how we liked the food, which I think is a little rude, since they are coming anyway. Thanks for superb service and food. My daughter and her friends had a wonderful time. I had been generally disappointed by the service I had gotten from restaurants in the Back Bay on my recent visit to Boston. That all changed when I went to Papa Razzi. I'm a big fan of old school Italian restaurants, but they are quickly disappearing from the landscape. Papa Razzi looks, feels, and tastes relevant, but it has that old Boston charm. 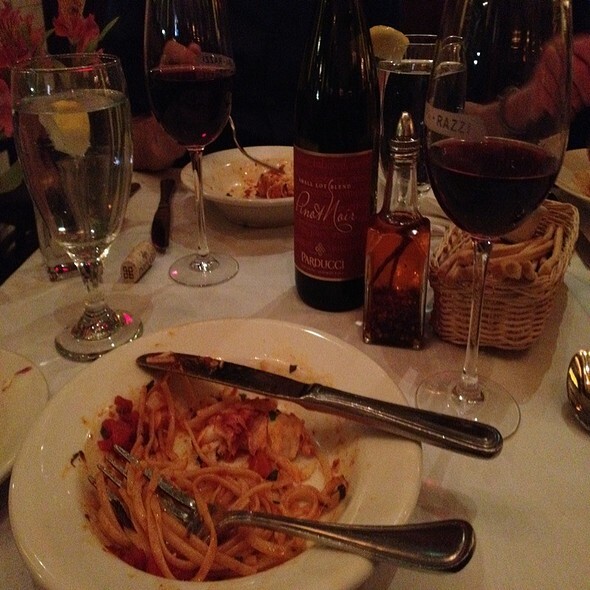 I had a delicious Arrabbiata complimented by a tasty house Chianti and excellent attentive, yet unobtrusive service. Bravo, Papa Razzi! I'll be back. Our favorite restaurant! Love the food, service, and ambiance. We live in Vermont and only come to Boston about once every winter. We always make sure to try to go to Papa Razi’s! Amazing food, great service and always a fun evening out with our teenage boys! Very professional and pleasant service from Noel. We did not feel rushed. Food was okay. The environment is pretty though. 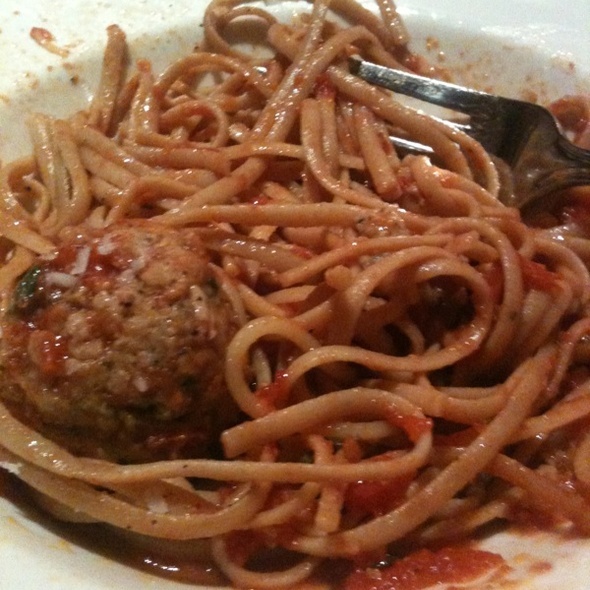 Meatballs were below average. 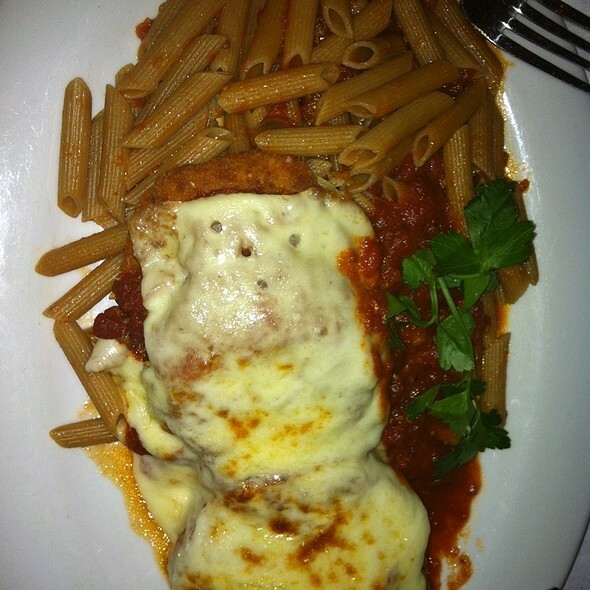 Chicken parmigiana was average. Booked table for large group during dine out week. Restaurant was half empty but still didnt have enough staff so it took forever to get drinks. Food came quicker but overall availability of staff was disappointing. We were accommodated in every way we needed to be. Great service snd caring staff. Thank you! Very cozy and attractive atmosphere, large menu with list of choices. Food was excellent and service attentive. Very enjoyable dinner. The waitress was a little bit moody, had to call her two times so everyone at the table could order drinks. But the food was fantastic. Great food and I go there quite often when I’m going out for dinner in Boston. Only negative was the hostess had some attitude when asked about timing. Eating the beets salads were terrible as if they just came out of the freezer!! Will never order Beets salads again!